Spectacular. There’s no better word to describe what’s going on at The Alchemist. Some cocktails are art, but theirs are nothing less than theatre. The ‘dark arts of molecular mixology’ is practiced with care and precision. In the current cocktail climate, you can’t get away with a simple serve that your mother could have made. Nowadays, aside from the classics that will never go out of style, there’s entire encyclopedia’s to be filled with extraordinary cocktail creations. 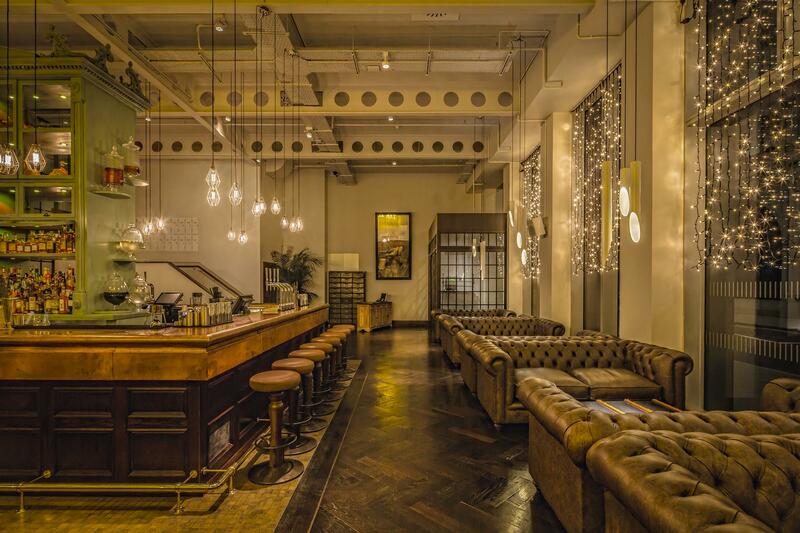 Yet very few bartenders can do what the people at The Alchemist do on a daily basis. It borders on witchcraft. Believe me, I’ve seen it happen right before my eyes and my slender legs are still shaky. I was a bit skeptical at first. A place that claims to be ‘a celebration of the unconventional, dark & controversial’ must be a charade, right? Quite the opposite, it turns out. Even for a cosmopolitan, cocktail-loving bird like myself, it’s rare to come across mixologists with such an obsessive eye for detail. 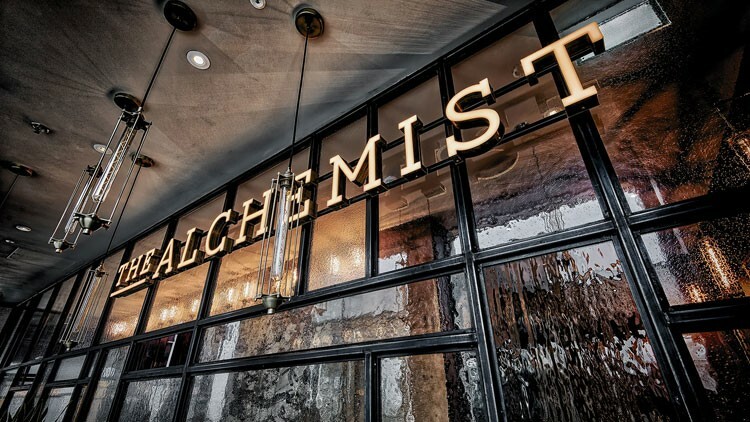 With new UK locations popping up all the time, from Manchester and Liverpool to Newcastle and London, The Alchemist expands its territory faster than Trump fires his personnel. 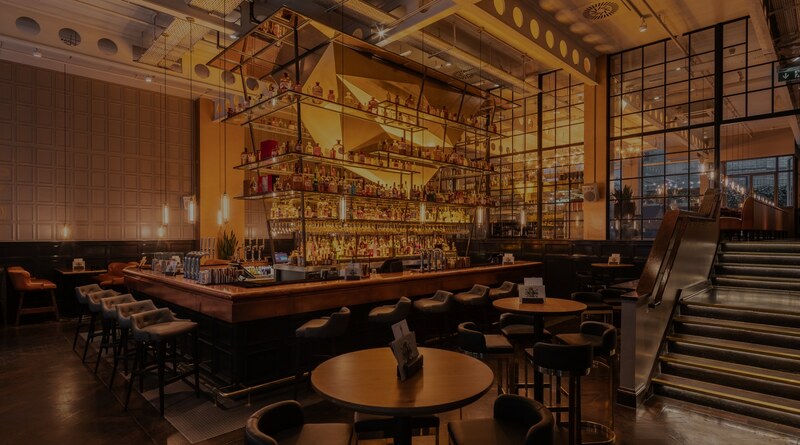 Each and every venue is as classy, stylish and sophisticated as the next (they even have a cocktail truck called The Alchemistress). 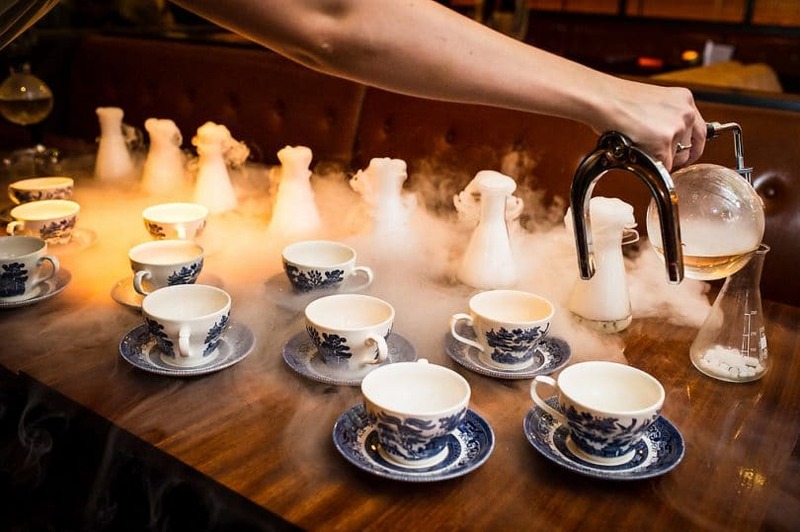 It’s like stepping into a theatre where mixologists armed with extravagant serves and unusual glassware put on a molecular magic show that will bedazzle even the most adamant stoic. Oh, and they have a mighty fine food menu too.